​When you select your Leads and Lists product(s) and Package sizes using the online store and add them to your cart, you then select your payment method (online or offline). If you elect to pay online, you complete your payment through PayPal. If instead you pay using an offline method, you select it and pay separately using the instructions provided. Then you fill out your Order Form for that Product - fill out your custom search and order criteria for your Leads or List product. For now, the order form is a separate document and not a web-form. Per product and Package size – one separate order form is to be filled-out to specify your order criteria and parameters you would like. In other words, any one order form applies to only one (quantity 1) Product and Package size combination. You can always order more than one Product\Package combination for any products offered on this website, just submit your completed order form(s) (within your cart) with their respective Product!! All order forms on this site are intended to apply to a quantity of 1 for any specific Product\Package combination. Once I receive both the payment and the completed form(s), I will then fulfill your order! Over time, I will be making improvements to the ordering process – so check back often. Note for sales tax exempt customers - If you qualify for either temporary or extended-use tax exemption on no-sales-tax applied to your order; you will need to login to this site with your customer credentials to enable $0 tax. For information on tax exemption, please see any product order form. Completed order forms - you can do an Upload File per product within the store OR you can email or fax the document to me once you have placed the order online. Applies to any pre-made Package available for direct order on this site. 1) Per product interested in, review product description and pricing per Package size. At the bottom of each description area is the Order Form link for that product. You can review and download it - it asks for your information and how you wish to pay. It also asks you for search parameter details you want applied to your order. 2) How to fill-out an order form - please include your name and address and other contact details. Also indicate how you will pay (using an offline method) or paying online using PayPal. Also review the questions and information on criteria to qualify for tax exempt status. Under Product Specific detail, select which Package size (SKU) you wish to purchase. Checking off a SKU (Package) implies a quantity of 1 on any order form - with the corresponding search criteria specific to that Package. Please indicate your Package search criteria for me to use in filling your order. If you have any special instructions, there is a section for that as well. 3) Once you know which Package(s) you want and have filled out a separate order form for each Package - then select the product Package Size (via radio buttons) within the store. Then upload your completed order form using 'Upload Files' button under 'Completed Product Order Form'. Once that is successful, click Add to Bag button (to add it to your cart). 4) After all Packages have been added and you are done shopping - complete the checkout process by selecting an offline method or pay instantly online via PayPal. Once you have selected and completed your payment, the order is complete. ​Once I receive your completed order form and payment for your purchase, I will work to fill your order. If need be, I will contact you first to clarify your order! In general, you will begin to receive your lead data within 4 to 5 weeks. The lead data will be delivered to you via your own private website portal account. Per lead, the data will contain full contact information and product specific detailed information – specifics vary per product. Optionally, a voice message will be available per lead with the information instead. Lead product Packages will seldom be delivered to you all at once – instead the contacts that you ordered will come in a trickle; when I receive them, you receive them. ​This is because the contacts come in Fresh (it's age); I distribute them to you when they respond to my marketing!! In general, you will receive your list within 14 or 28 business days (depending on the specific Package). For most products, the list will be delivered as an Excel spreadsheet; unless you specify a different format (in custom instructions). Per list record, the data will contain full contact information – specifics vary per product. The list will be delivered to you via your own private Google Drive account. In contrast to Lead products, typically List product Packages will be delivered to you all at once!! 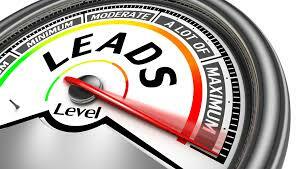 ​I provide high-quality Leads and Lists for your REI business use in a fast, friendly and professional manner!! I strive for 100% customer satisfaction for all products – from initial customer contact through delivery and post-sale relationships!! Never incentivized – No incentives added to get the contact I provide! Never oversold – For Exclusive products, they are only sold once. For Semi-exclusive products, they are sold at a maximum of 3 times! Always guaranteed – Always legitimate contacts sold! If you receive a bad contact in your Package, I will make it right! ​I don't advise nor recommend a particular REI strategy for any product or service offered. I don't guarantee you will be able to close a deal from any of my Leads or Lists products. I don't negotiate deals nor construct a deal on your behalf. In general, I don't sell Lead or List products that fit a specific entry or exit REI strategy. ​If you purchase a Lead or List product that contains invalid data (a dud), then I will refund your money OR provide a free replacement [your choice]! Example of an invalid Lead or List record (a motivated seller) – when you initiated contact, the property had already been sold. An example that does not fit an invalid Lead or List record – when you made contact, you were not able to create and close a deal. ​All customer data and information is kept confidential – I never will sell your information; no exceptions! !